Lake Idro is a spectacular glacial lake found within the Lombardy province of Italy. Not only is the weather here truly spectacular, but a variety of camping reservations host spectacular attractions for the entire family. It is always possible to acquire more information by contacting the professionals at LUX-Camp. Why Should My Family and I Choose to Camp at Lake Idro? A temperate climate ideally suited for a variety of outdoor activities. The ability to swim in the pristine waters of Lake Idro. A proximity to both ancient and modern tourist attractions. Lake Idro is no less than 386 metres above sea level and its glacial waters are fed by the river Chiese. These waters are said to be some of the cleanest in all of Italy; ideally suited for those who enjoy maritime activities. Nearby mountains provide excellent hiking opportunities while a host of high-quality camping sites are able to accommodate even the most demanding of needs. Rio Vantone is certainly a venue not to be missed. Boasting an impressive 220 pitches as well as a robust infrastructure, all of the amenities of modern camping are now within reach. 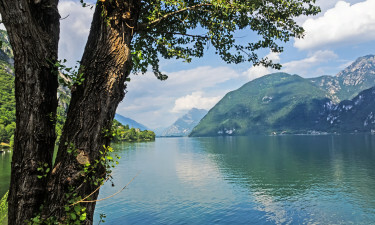 Guests can enjoy unfettered access to the nearby shores of Lake Idro and other activities such as table tennis, volleyball, boat hire and angling are all offered within the site itself. Families arriving with their young ones will be pleased to know that baby changing rooms are included as standard options alongside live entertainment and a play area specifically designated for children. 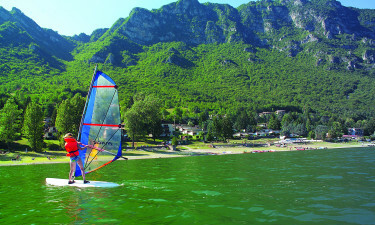 Some of the best beaches on this lake include Anfo, Bagolino, Bondone and, of course, Idro itself. Hiking into the nearby mountains affords wonderful views of the nearby countryside and many of the woods are still pristine. There are also diving classes found at various points along the shore. There are a handful of wonderful attractions found only a stone's throw away from the camping resort itself. Fans of flora should make it a point to view the numerous flowers found within Heller Garden. An ancient church known as the Duomo Santa Maria Annunziata is an excellent example of traditional Lombardy architecture. Those looking for a bit of rest and relaxation will find a great deal of pleasure by visiting Limoni Spa. Lombardy is region famous for wine and its sparkling variety should be experienced. The foods here embrace a melange between the Mediterranean diet and a more inland flavour. 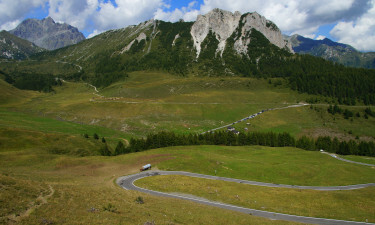 As in many other portions of Italy, the people are friendly and welcoming to foreigners. Please contact LUX-Camp for further details or to address any additional questions.